Is your application for H1B Visa Process got accepted? If yes, then the first query that buzzes in your mind is how to clear the H1B visa interview. Well, don’t panic! You are at the right place to get answers to all your queries. The United States has always been a dream destination for numerous individuals who aspire for a better career prospects. 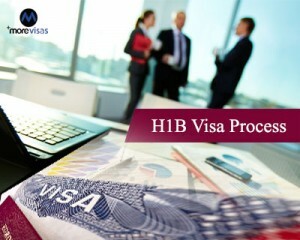 And every year, a number of individuals migrate to US for the purpose of employment on H1B visa. After the acceptance of H1B Visa applications, individuals get jitters at the thought of visa interview. This article would give you a complete insight on the major aspects that you should follow while preparing for the H1B visa interview. In some cases, visa interview plays a crucial role in the acceptance or denial of the candidate. So, make sure that you prepare well in order to crack the visa interview and get through the H1B Visa Process successfully. There will be few common queries which applicants need to answer during the visa interview. The queries might include about the firm and its profile, applicant’s job role and responsibilities, count of employees, company’s yearly turnover, and others. So, prior to attending the visa interview, the applicants need to be prepared with some of the general queries. Migrating to US on H1B Visa is a golden opportunity! Don’t miss out this chance, prepare well by following the simple steps and land in your dream destination.